Number seven in the definitive story of the end of Southern steam. This volume covers March and April 1967. Even with new diesel and electric rosters, beside the normal services, steam was still covering failures. These are covered in detail through the suburbs of London. The main focus is around the Southampton and the New Forest areas. The Fawley branch is visited by USA tanks on a railtour which then continued on the truncated S & D line to Blandford Forum and the Swanage branch. The Lymington branch lost its steam traction in April 1967 and views of the last week are well documented. The Hampshire Branch Line tour is featured via Salisbury and Ramsey. 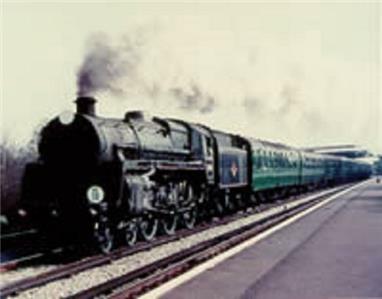 Finally the “Kenny Belle” service to Olympia.Covers the period March & April 1967 & features steam in the suburbs of London, the Southampton & New Forest area, the Fawley, Swanage & Lymington branches, the Hampshire Branch Line Tour, & the Kenny Belle service to Olympia.